The Environmental Justice Foundation is calling on the international community, and in particular the European Union, to develop new legal definitions for climate refugees and a legally binding agreement to ensure their greater protection and rights. EJF today launches a new campaign, exposing the devastating impacts of climate change that are already forcing people to flee their homes, and demanding legal protection for climate refugees. In a year of record-breaking temperatures, storms, wildfires and droughts, even one of the world’s most developed nations - the USA - has not been immune to the effects of human-induced climate change, with thousands of people on the move from hurricanes and most recently, devastating wildfires. 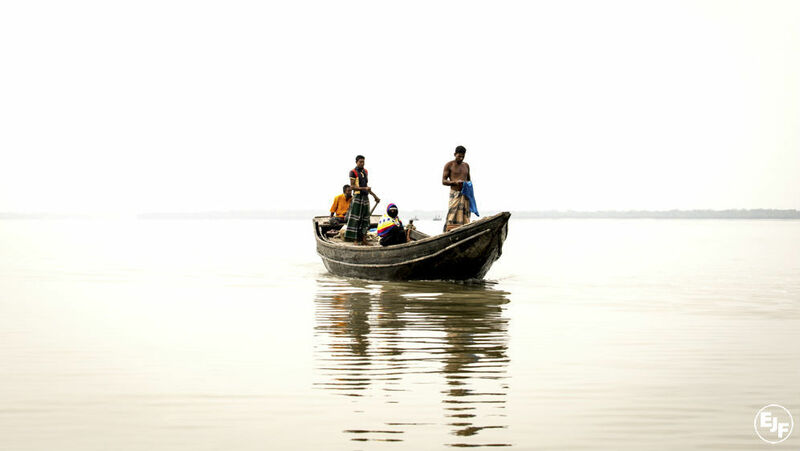 All too often however, it is the poorest, most vulnerable and voiceless people, like those EJF recently met in coastal Bangladesh, who have contributed least to climate change, who are first and worst affected. European leaders have the chance to put the recognition and protection of climate refugees on the global agenda and push for action at the global level. EJF's new report exposes the role of climate change as a ‘threat multiplier’ driving violent conflict. In Syria, a one-in-900 year drought event caused farmers to lose their livestock and livelihoods, food scarcity and a catastrophic failure of the regime to respond to the people’s needs contributed to the desperation and anger that manifested itself against the Al-Assad regime and the onset of the bloody 7-year war. One million Syrian people were on the move before a single gunshot was fired. 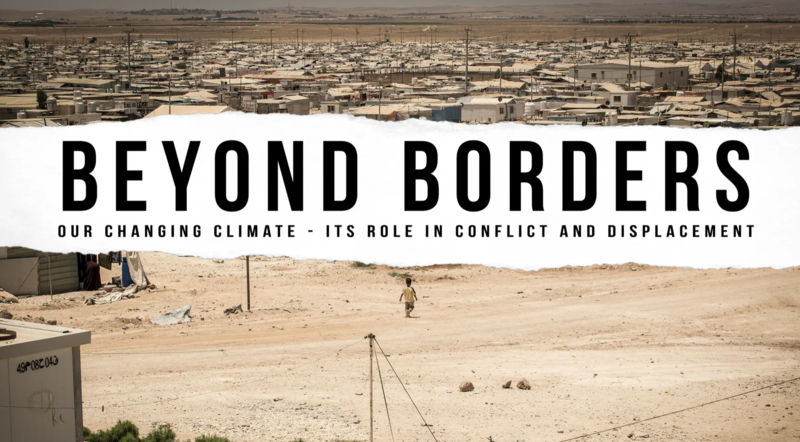 In the EJF film, Beyond Borders, security and military officials, including Brigadier General Stephen A. Cheney, United States Military Corps (RET), Rear Admiral David W. Titley, United States Navy (RET) and the UK Government’s former Climate and Energy Security Envoy Sir David King examine the role of climate change as a catalyst for mass migration and conflicts into the future. The best way to protect vulnerable communities is to take urgent climate action. Join us in demanding world leaders support action on climate change and recognise rights.